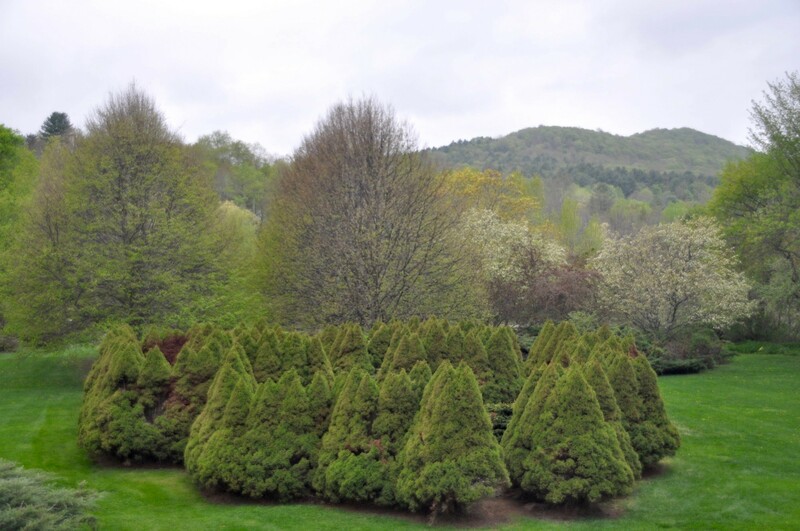 We’ve been experiencing a glorious stretch of Vermont spring weather. 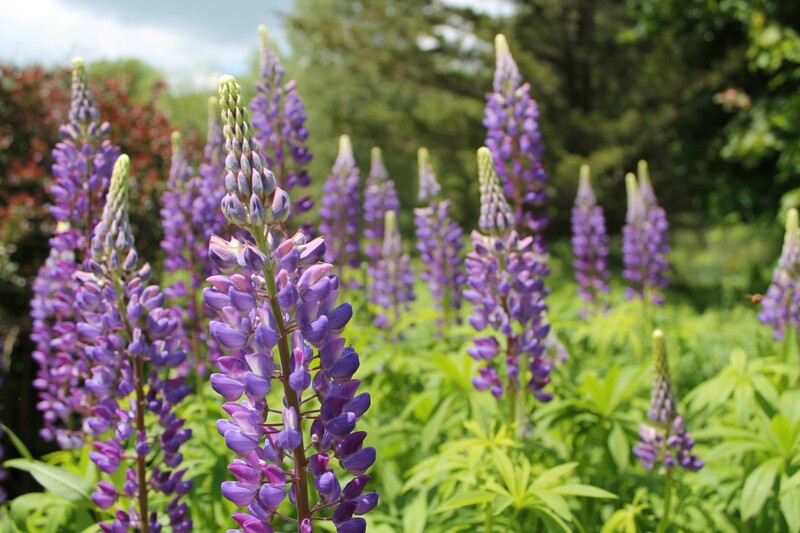 The flowers are out, the sun is shining, and we are all craving ice cream cones! Most notably, this is also a time of great celebration for our inn. 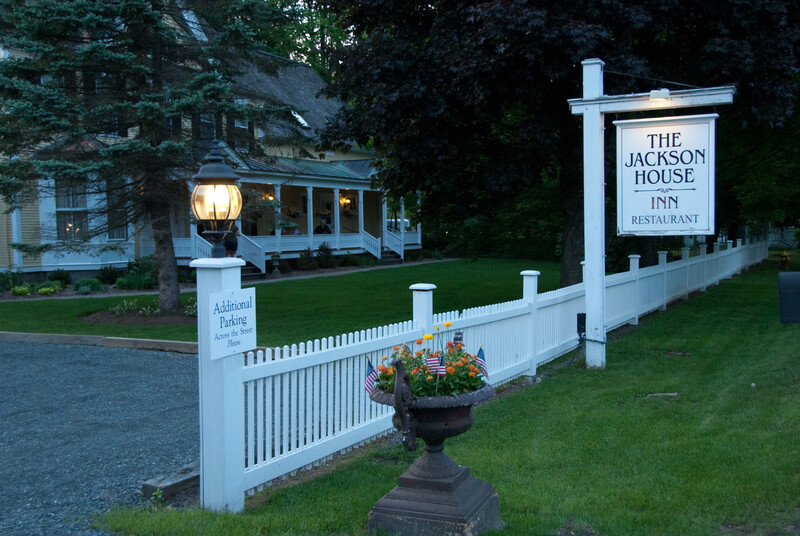 Mid-May marks not only Christine Jackson’s birthday, but also our SEVENTH anniversary of owning the Jackson House Inn! 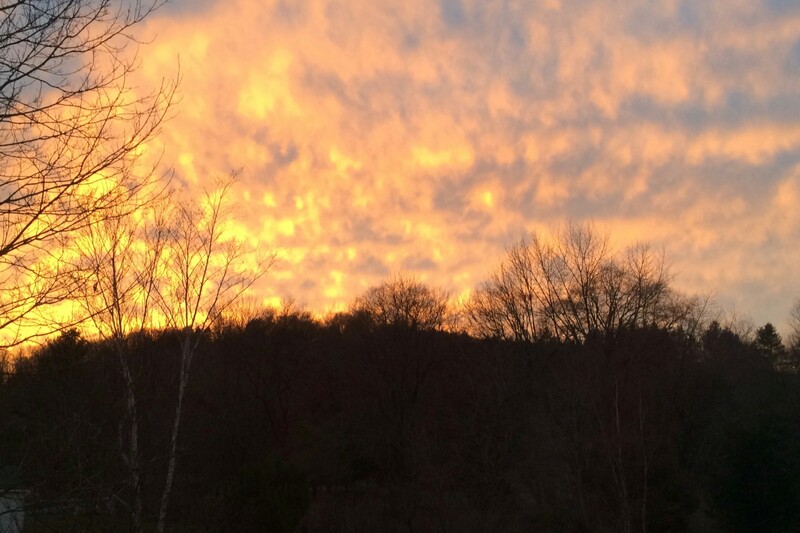 We can’t believe how lucky we’ve been to call such a bucolic place home. 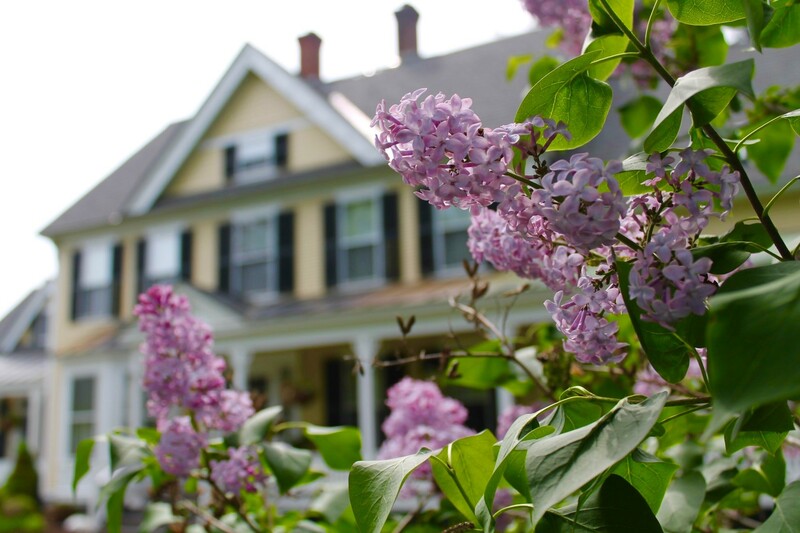 Woodstock VT is certainly a very special town, and we consider our little corner of it to be especially tranquil. 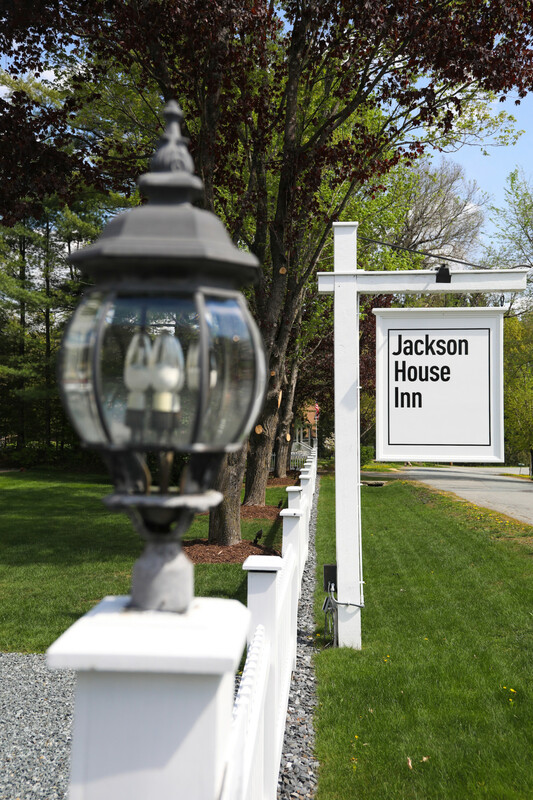 One of the main attractions of the Jackson House Inn remains our relaxing grounds and gardens. 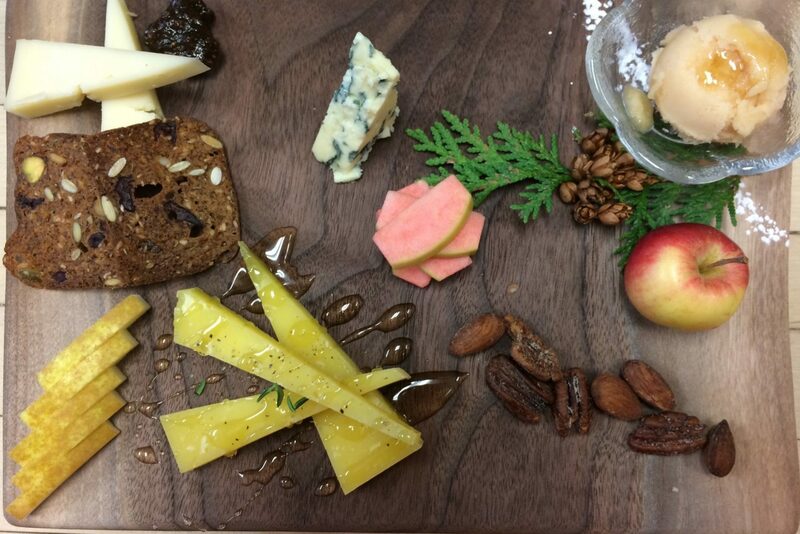 In addition to being a short distance away from the Woodstock Village (closer to White Cottage, Farmhouse Pottery, and the Woodstock Farmer’s Market! 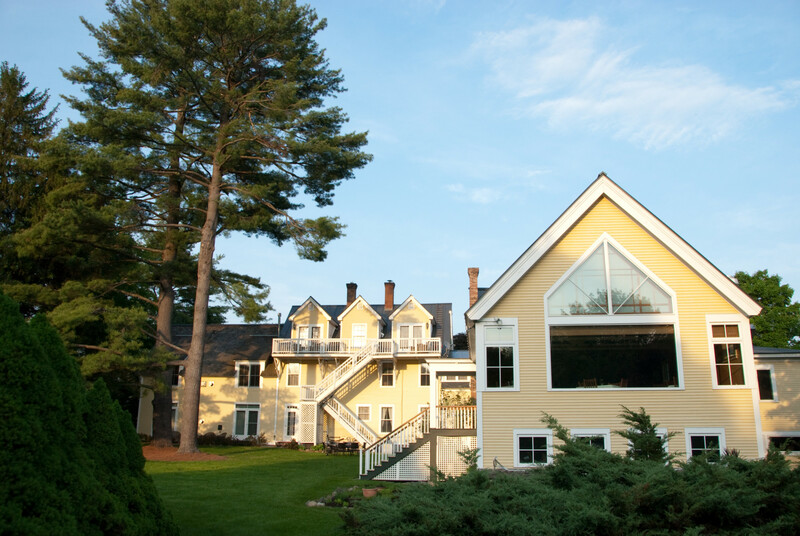 ), we revel in the quiet spaces we’ve helped cultivate since taking ownership of the inn. In the seven years we’ve been here, there have been many changes to make our landscape appear as it does today! 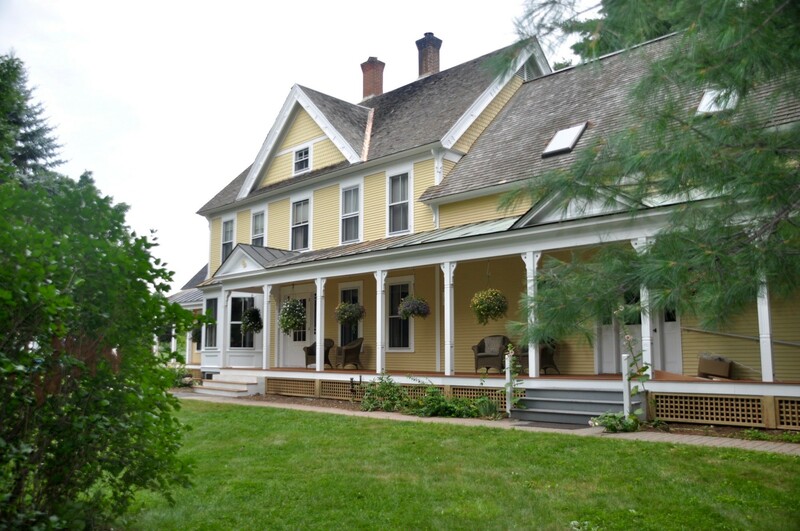 Since moving into the Jackson House in 2010, we’ve proudly maintained the yellow and white color scheme of the home. However, much effort was put into rebuilding the porch, stairs, and railing before reopening. As opposed to opting for standard spindles, we decided to have the railings hand-cut to maintain its original, detailed pattern which had been visible across the front for so many years. 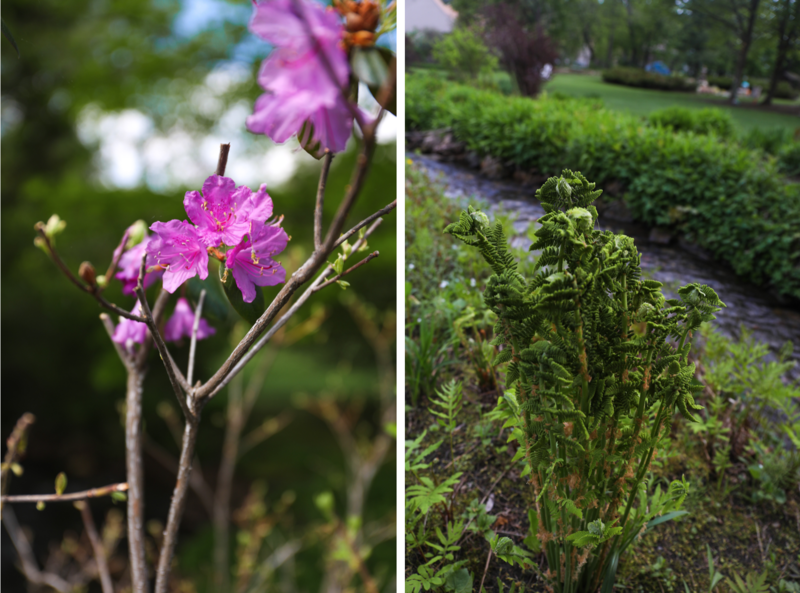 When we first purchased the Jackson House Inn, the grounds were full of perennials, wildflowers, ferns, and shrubs that had originally offered a natural sense! We were able to keep a lot of what was already here. 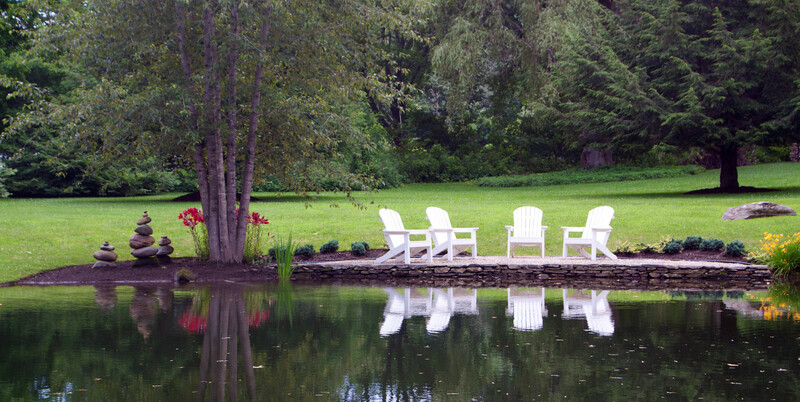 For instance, our pond was created by the owners who originally opened the property as a bed and breakfast in the 1980s. While we cleaned and manicured the area, we’re thankful for this beautiful addition to our gardens, which guests continue to enjoy today! 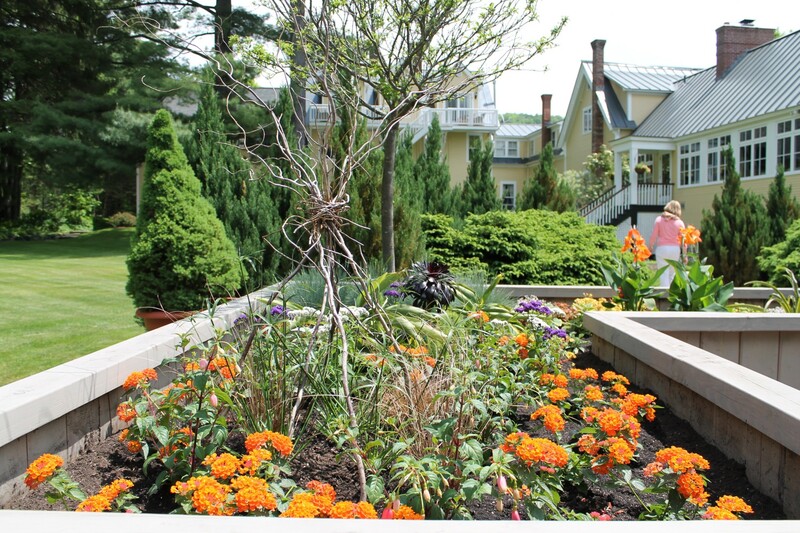 Improvements we did make to the grounds include a revamped herb garden, raised beds, and a new “zen” garden! Before making many of these changes, we first and foremost were forced to take down a massive, old maple tree in the backyard that had rotted. 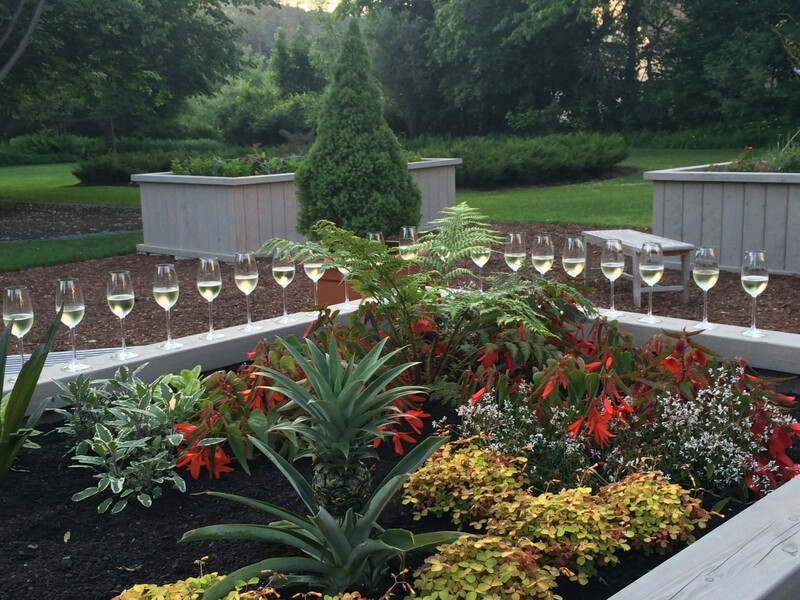 This helped open up the backyard, allowing more sunshine and space for guests to enjoy the property behind the inn! Next, we curated our herb garden beside the dining room to grow herbs that we use most often for breakfast! Our friend, Oliver, built a trio of white birch teepees to protect and aid our seedlings one year (oh, how we miss these beauties!). We also replaced a once lush tree maze with raised garden beds. The trees that had been planted long before our arrival were developing larger brown areas each year, so we decided to utilize the space for raised beds! 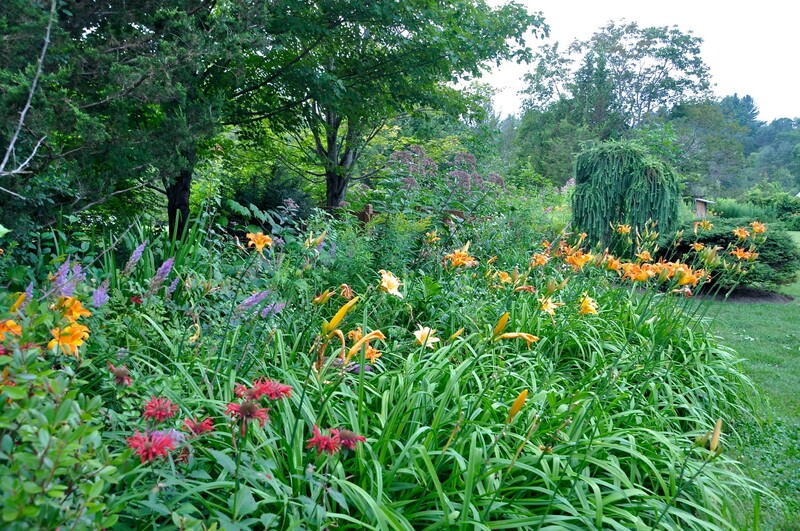 This portion of the grounds now provides an abundant amount of edible greens and flora we can, again, use for breakfast. We’ve also found an additional use for these beds as various celebrations arrive at the inn – the perfect platform for a line of champagne glasses! 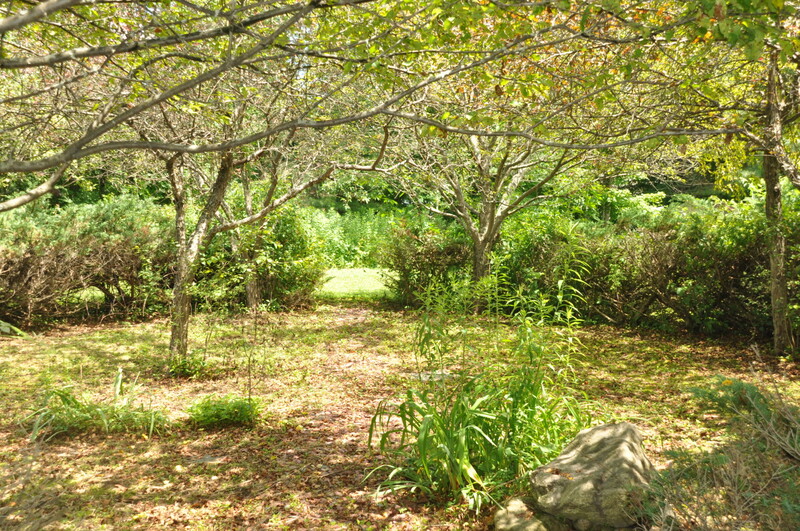 Finally, what we have fondly named our “zen garden” has replaced an old circle of overgrown juniper and crabapple trees. After clearing the space, Oliver constructed a tall cairn in the middle. He also built various smaller cairns to carry the zen characteristic all the way back to our pond. Of course, all stones used for our cairns were harvested in Vermont! Last but not least, we’ve made a very cool change to the outside of the inn – our sign! Having originally said “restaurant,” we quickly adjusted to sans public eatery when we first moved to town since that part of the business had ceased operation years before. Today, we have new and improved signage to match our branding inside the house – a blend of respect for history and a focus on the comforts we all expect in 2017! We absolutely love its clean and minimalist look. Lucky year seven is off to a FANTASTIC start! 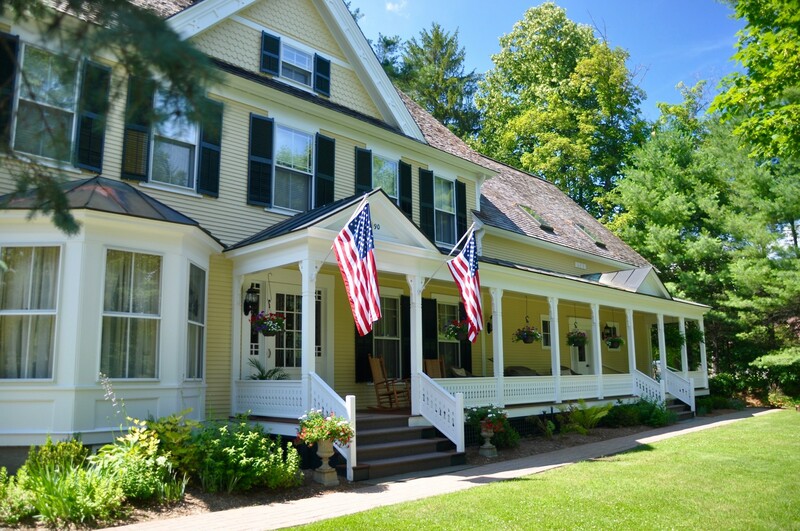 It’s fun and exciting to see the transformation of our inn throughout our time here, and we now look forward to spending some time outside in this warmer weather. We say it every year: Vermont sure is beautiful in every season!